Waterfall Info: This is a wet-weather waterfall on an unnamed stream that spends most of its time underground. 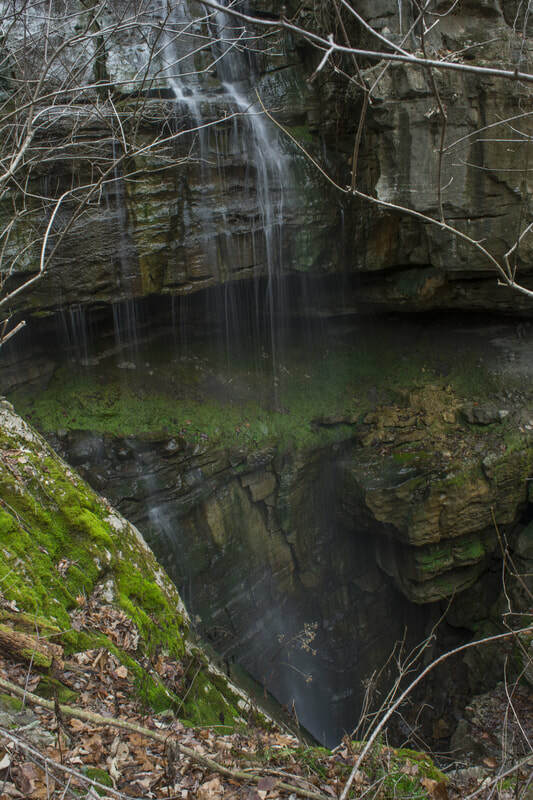 The falls is unique as it drops into a cave. It's best seen after heavy rain. Access Info: To get to Nash Pit Falls, follow the Chamberlain Trail for 1.5 miles. Then, make a 1000-foot off-trail bushwhack to the right. It's moderately steep through open woods. You'll cross a normally dry gully just before Nash Pit Falls.